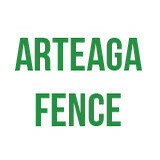 Yutka Fence is a family owned fence company that has been in business since 1968. 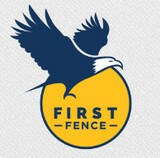 Our goal is to provide our customers with a high quality fence that fits their lifestyle and meets their needs. Each customer has a slightly different reason for wanting a fence, so we would like to meet with you to understand what you are trying to achieve with your new fence. We strive to give our customers a hassle-free buying process that begins with an informative estimate with one of our knowledgeable estimators to discuss the style and layout of your fence. From the office staff to our field installers, we set high standards so that you are treated the way each of us would want to be treated throughout your experience. We look forward to learning how we can make your yard a safer, more enjoyable, and more relaxing place to live and play. For almost 25 years, POST HOLES UNLIMITED has been serving the needs of customers in Southeastern Wisconsin and Northern Illinois. Kirk and his staff pride themselves on reliability and professionalism. Our company was founded on the belief that quality work, attention to detail, and a fair price should be our top priorities. We have earned a reputation for quality and dependability through hard work, safety, and honesty. Our Customer Friendly Service speaks for itself. POST HOLES UNLIMITED is a small business and as such, we are involved in a limited number of projects at any given time. Because our attention is given to a small number of jobs, we are able to be completely hands-on with every aspect of your project. There aren't any communication breakdowns between the salesperson and the installation team. The reason being, is that we don't have any expensive sales people. The folks that come to your site to do the estimate, are the same ones who are completing your job. We've done it this way for years, and all of our customers seem to really appreciate our "small town" approach. At Chicago’s Fence we strive to bring our customers quality products using the best professional instillation methods in the industry. With knowledgeable sales staff and four generations in the business, we are committed to providing our customers the best value for their investment. Taking pride in having a client-center approach, our mission is to excel in our service-oriented management by providing the highest quality customer service. By creating a strong relationship with suppliers and venders, we are admired for our professionalism, partnership, and quality products, making us Chicagoland’s leading producers and providers of quality fences. 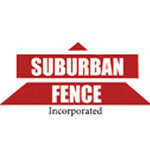 Your Barrington, IL fence installation and repair professional will work with you to create your ideal fence. 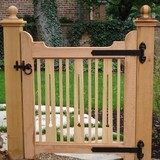 Find a fence contractor in Barrington, IL on Houzz. 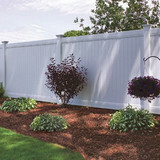 Narrow your search in the Professionals section of the website to Barrington, IL fence contractors. You can also look through Barrington, IL photos to find examples of fencing and gates that you like, then contact the professional who worked on them.